Your operational view- supporting decisions and communication. Create a 'Common Operating Picture'. A single common view for all your assets, sensors, and events. Your worksite is more complicated than ever, with an increasing number of screens, sensors, and data feeds. Lightship’s asset management software simplifies your worksite, giving you a single screen to view, query, and act on worksite HSE/EHS events. You’ll have on-demand access to sensor values, infrastructure and GIS data, inspection and maintenance records, along with the real-time position for all of your moveable assets and people in one simple interface. 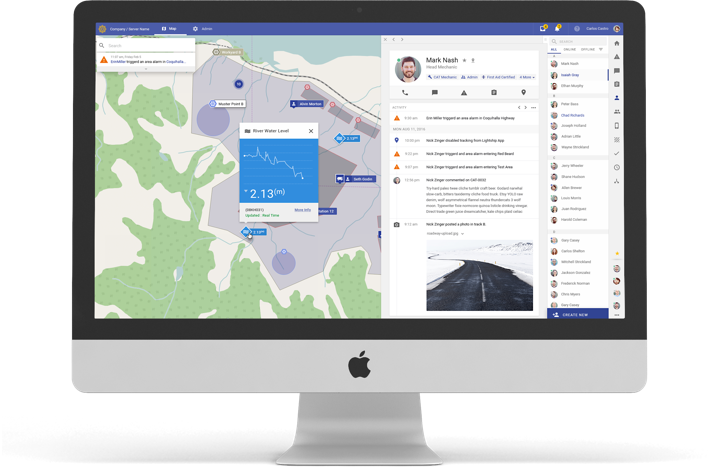 It’s an easy way to see exactly what is happening, then communicate with your workforce to direct daily events and respond to emergencies. View all of your infrastructure, sensors, and workers on a single map. Quickly deploy custom data collection forms for in-field inspections, maintenance, and other operational requirements. Use ‘History Mode’ to replay the location and status changes on your worksite over time. 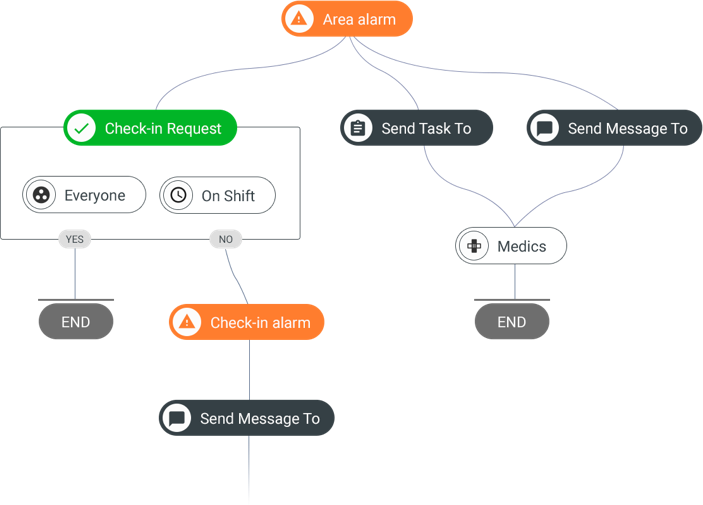 Set custom alerts and alarms based on sensor values, missed check-ins, fall detection, or manually triggered events. Build out dynamic notification procedures that find the best responders for day-to-day events and major HSE/EHS emergencies. Lightship knows who you have on site, and can find the best responders based on skill-set, location, or job title; that means better responses that will reduce worksite interruption and minimize risk. 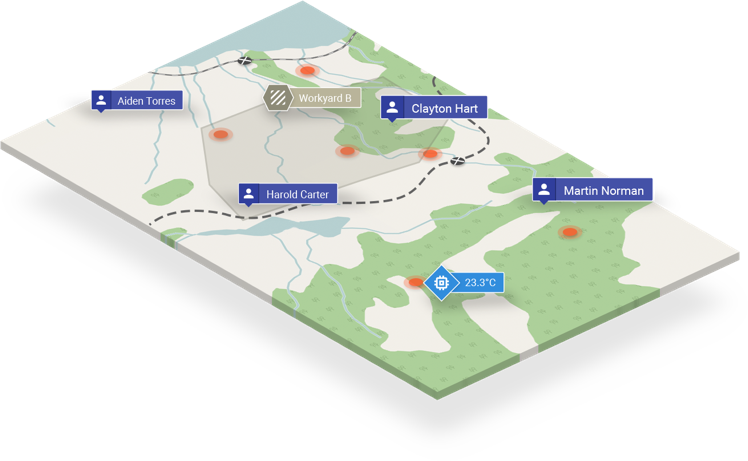 Use location and skill-based search to quickly contact an individual or group of workers – mechanics, for example – to assign work or ask for assistance. Communicate through your choice of in-app messaging, phone calls, SMS, or email.